Despite a challenging political climate, we continue to make progress on Great Lakes issues. And we’re only able to do that because of the many thousands of people who have raised their voices and penned letters to their elected officials on behalf of clean water time and time again. Our supporters sent more than 50,000 letters to state and federal officials over the past year, which made for some big wins. 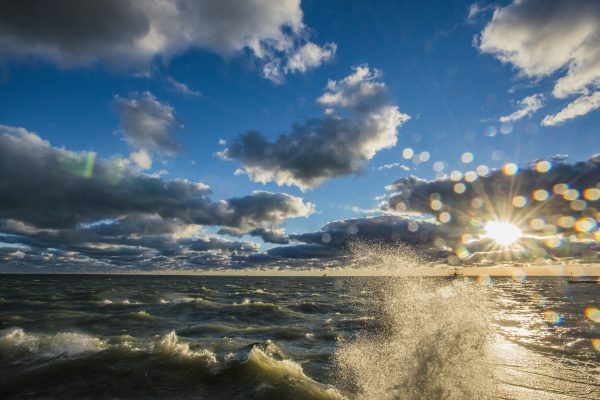 Clean water advocates defended $300 million in Great Lakes funding, took a powerful stand on Lake Erie’s toxic algae problem, fought off a bad invasive species bill, and made major progress in the effort to stop Asian carp. About this time last year, Great Lakes funding was on the chopping block. The new administration had zeroed out the Great Lakes Restoration Initiative, which has helped revive the lakes after decades of neglect. But our supports spoke up. Hundreds of people wrote in to share their stories, memories, and love of the lakes. We took those stories to Congress for our 2017 Great Lakes Days. Members of Congress and their staffers on both sides of the aisle were moved by their constituents’ stories and committed to defend Great Lakes funding. The Great Lakes Congressional delegation worked to restore full funding to the Great Lakes Restoration Initiative in last year’s budget, because they know it’s a priority for their constituents. And, they are poised to do it again this year. Last summer, Lake Erie experienced it’s third largest algal bloom this century. Algal blooms are caused by agricultural runoff. They can lead to dead zones, harbor harmful bacteria, or even turn toxic. Despite promises by the governments of Ohio, Michigan, and Ontario, this persistent, yet preventable problem is not going away. 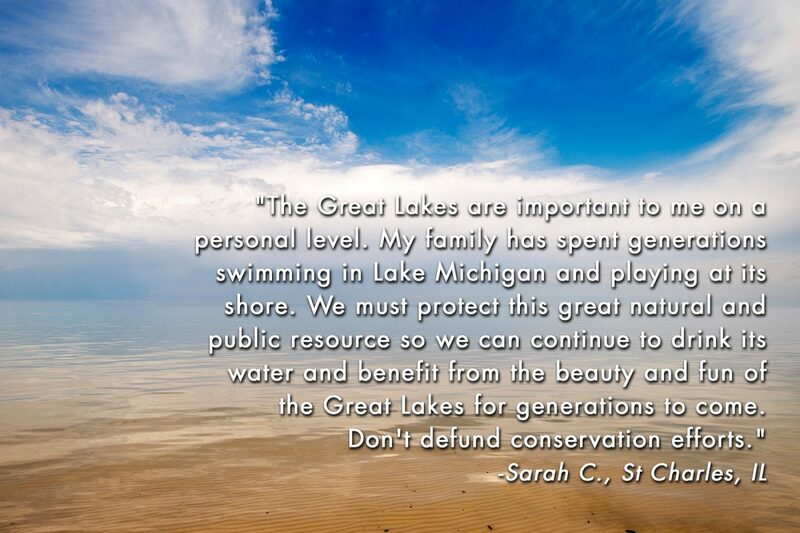 So Great Lakes residents joined us in speaking up. 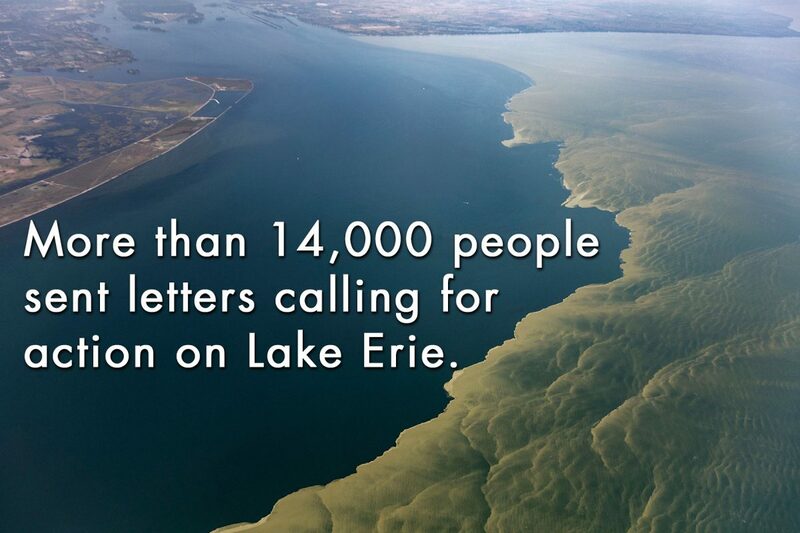 More than 14,000 people called on the states and province to stick to their commitment and clean up Lake Erie. We took constituents’ letters and our report to the biennial meeting of Great Lakes governors and premiers. They got the message loud and clear, and discussed the importance of improving monitoring and reducing runoff pollution. Now we wait, watch, and keep up the momentum for a clean Lake Erie. Keeping invasive species out of the Great Lakes means making sure ships’ ballast water is treated and monitored. While hard-won regulations are in place, the shipping industry is continuously trying to roll back these vital ballast protections. Last year was no exception. But once again, Great Lakes residents spoke up. Nearly 10,000 supporters raising their voices, calling on elected officials to stop the biological pollution that is invasive species. And they listened. Yet again, our supporters successfully blocked efforts to undo ballast water protections. While this was a behind-the-scenes victory, it was an important one. 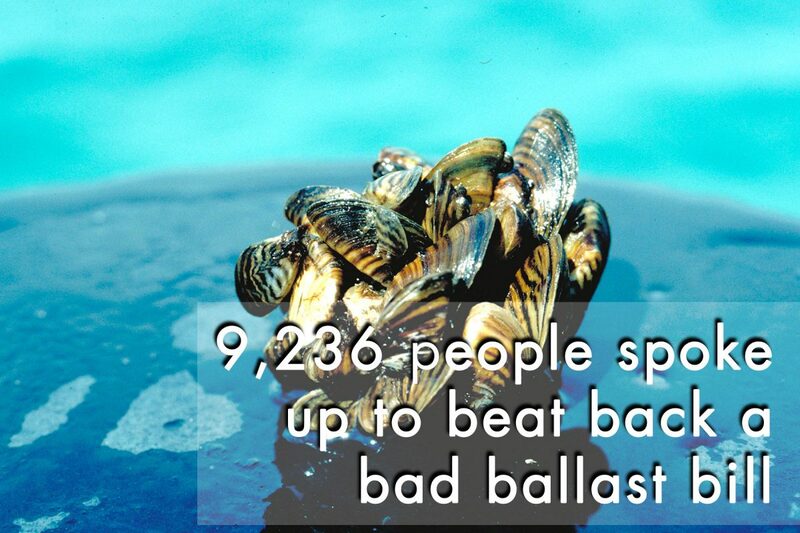 Invasive species out-compete native species, destroy habitat, and cost Great Lakes communities hundreds of millions of dollars a year. 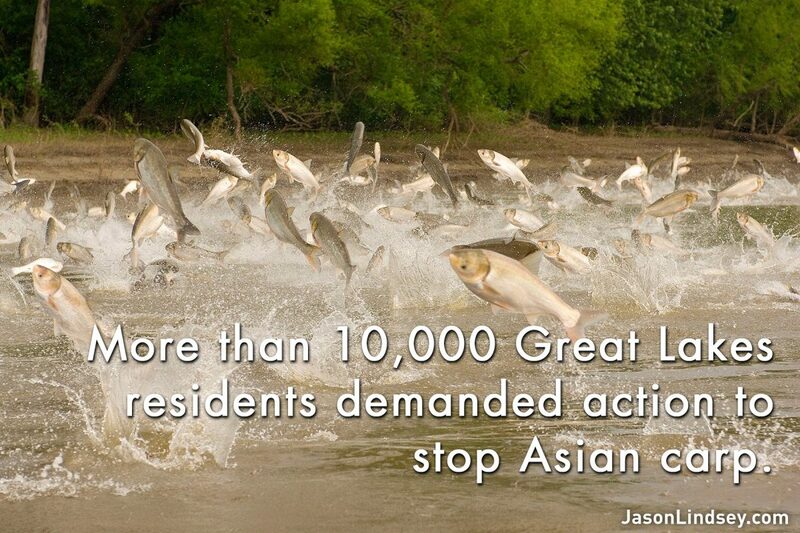 Last year, our supporters came out strong for protections against Asian carp. The voracious invasive species continued advancing toward Lake Michigan from the Mississippi River, posing an urgent threat to the Great Lakes. The U.S. Army Corps of Engineers has been studying options for new Asian carp control measures at Brandon Road Lock and Dam. This is a natural choke point on the Desplaines River in Joliet, Illinois. The study was originally scheduled for release in February of 2017. When the White House blocked the release of the study, our advocates stood up, and pushed this effort past major roadblocks. Our supporters wrote to their representatives and built the public and Congressional pressure needed to get the study released. And when it opened up for public comment, more than 10,000 Great Lakes residents made their voices heard. We called for vigilant monitoring as well as urgent action to finish the study and implement needed control measures. Now we wait and keep up the pressure to stay on schedule and secure the protections we need to stop Asian carp from reaching the Great Lakes.